NLW, Other software dynamics processor from SKnote. 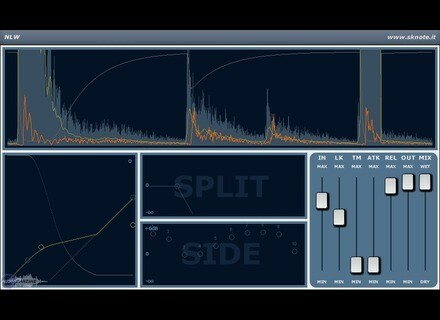 SKnote has announced NLW, which stand for Non Linear Works, a new VST effect plug-in for Windows. 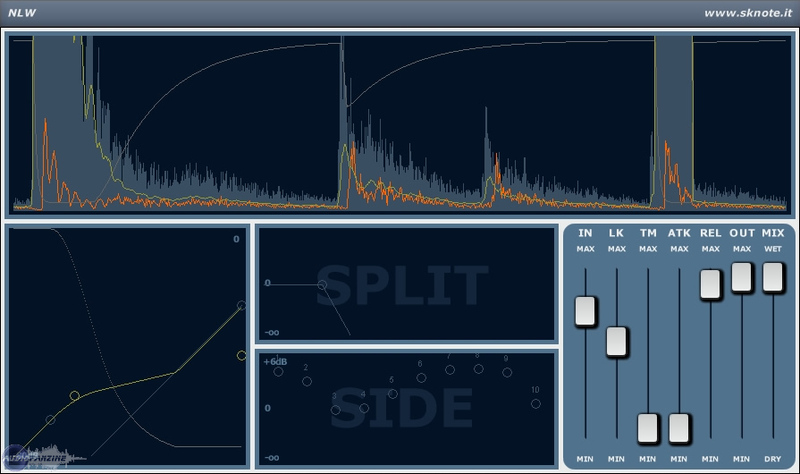 "Instead of "emulating" something old, [this software] is aimed to give all the tools needed to get the result and take advantage from the unlimited versatility of digital," according to SKnote. It features compressors, expanders, gates, overdrive, exciter, saturation, side-chaining, parallel processing, as well as a different approach against aliasing and a graphical representation of how the effect is affecting the sound. NLW is currently in beta-testing and is scheduled to be released in April 2009, with pricing to be announced. Genuine Soundware / GSi Key Performer GSi has announced the release of Key Performer, "the Swiss Army knife of the modern gigging keyboardist," according to the company. SM Pro Audio VFX Host Software You can now install Windows plugins on your mac with this new VFX Host Software for Mac from SM Pro Audio. New Smart AV Tango Demo Video The final release software for Tango working with Protools should be coming soon, and Smart AV have prepared a short preview video of Tango working with Protools.